Does higher quality cost more, or does it cost less? The word quality has different meanings. It is interesting to read the two following definitions by Juran to better understand how to manage quality. 1 - Quality can be defined as “features of products which meet customer needs and thereby provide customer satisfaction”. This definition implies the satisfaction of the customer needs and therefore have as a final goal the increase of income. In this definition, higher quality means higher cost. 2 - Quality can be defined as “freedom from deficiencies - freedom from errors that require doing work over again (rework)”. This definition includes all the failures that creates customer dissatisfaction, customer claim and so on. In this definition, higher quality means lower cost. 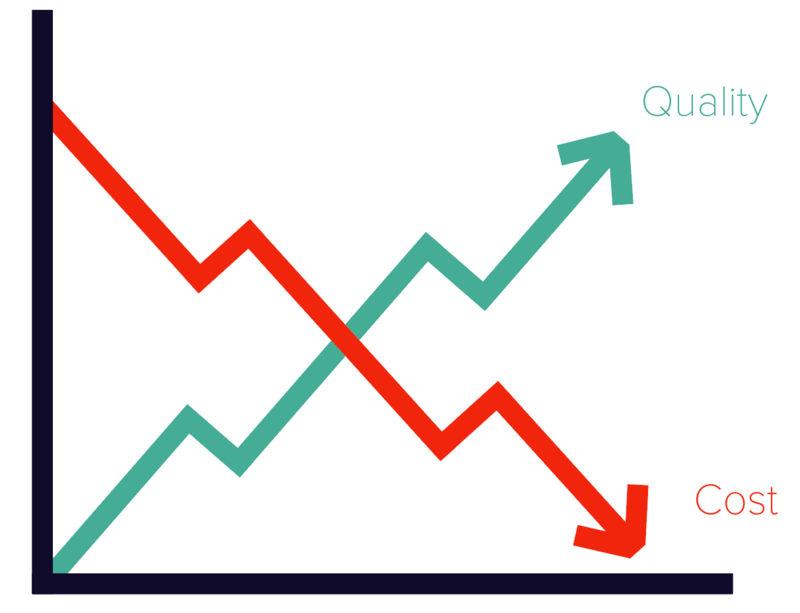 Total Quality Costs represent the difference between the actual (current) cost of a product or service and what the reduced cost would be if there were no failure of products, or defects in the manufacturing process. Let's take the case of an automotive company producing plastic painted parts. Here are some examples of each type of costs. These four categories added can provide a company's Total Cost of Quality. Knowing these costs is essential to manage it and reduce the Total Cost of Quality.